Last week, all eyes were focused on the White House for the historic first meeting of U.S. President Donald Trump and Prime Minister Justin Trudeau. While no official agreements were reached at this meeting, by most accounts it was a positive first encounter of the two world leaders. While many were disappointed and critical that Trudeau did not publicly denounce some of Trump’s policies, I believe our prime minister set the right tone and was wise to not engage in United States political debate. Canada and the United States share the world’s most successful trading relationship and while the prime minister may have earned political favour here in Canada for engaging in United States political advocacy, the decision to refrain and focus on a more cordial tone was from my perspective a wise choice. 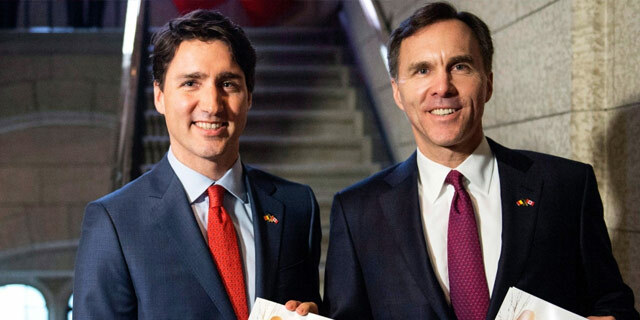 Hopefully in the near future, this new relationship will result in agreements on softwood lumber and other trade-related measures in a mutually beneficial manner. With so much attention on this meeting, overlooked were recent changes coming to Canada’s mortgage regulations, and one in particular that I would like to share more information on. As a member of the finance committee, one of the duties we perform is to hear from expert witnesses and industry stakeholders on how newly announced or changed finance regulations can impact Canadians. We learned that for those who might re-finance an existing mortgage, there are some potentially significant changes that may result in Canadians paying much higher interest rates. Currently, Canadians who re-finance a mortgage have the security of having that mortgage insured by the Canadian Mortgage and Housing Corporation (CMHC). This guarantee means the mortgage is of low risk to lenders and, as a result, many lenders, including several private lenders, compete to offer competitive interest rates. This is often why homeowners will take advantage of re-financing a mortgage, as the low interest funds might be used to invest in a small business, to finance home renovations or even help deal with a lifestyle change such as divorce or a prolonged strike or lockout. Debt consolidation is another potential factor. Whatever the reason one may choose to refinance a mortgage, the CMHC insurance is a protection available to Canadian homeowners. With the proposed mortgage changes, this CMHC insurance on a re-financed mortgage will be taken away. The lack of CMHC insurance of a re-financed mortgage does not mean one cannot still re-finance. However, without the CMHC insurance, the interest rates will be considerably higher and there will be fewer competitors — as we heard from many expert witnesses at the finance committee. These changes are puzzling. CMHC is not a program subsidized by Canadians. Those who use the services of CMHC pay fees that not only fully cover the costs of CMHC, they, in fact, turn a profit with net income in excess of $2 billion annually. If anything, these changes will not only cost Canadians who re-finance more money in higher interest rates, they will likely also see a reduction in the profit created by CMHC derived from the user fees. So why is the Liberal government making these changes? As yet we don’t know. Several bureaucrats interviewed at the finance committee have yet to offer a coherent answer. As a result, I tabled a motion for the finance minister to attend in person to explain this policy decision. Fortunately, my motion was supported by enough Liberal MPs to pass and I will have a further update on this subject.